Coffee subscription services have been growing in popularity. There are great ones, good ones and bad ones. Each coffee club is catered towards certain people so how do you know which one is for you. 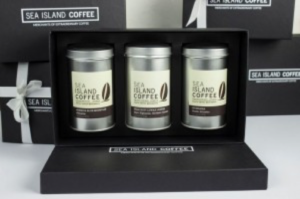 Handpicked now includes Kopi Coffee, please see review below or click here. The new name for Kopi Coffee is Handpicked and they’re picking up where the old brand left off – offering a truly gourmet taste of the world via your coffee cup. 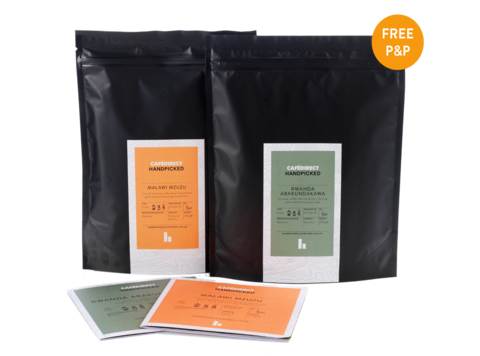 At £7.95 per 250g bag, the average cup of perfect coffee is just 35p – which is a fantastic value for the amazing cup of coffee you will get each and every time. 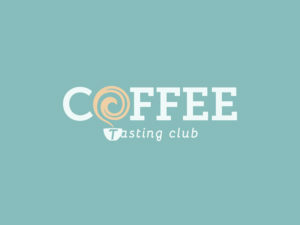 Coffee Tasting Club makes sure you get the best coffee in the UK every month. An amazing coffee subscription with a twist. They do not send you their own coffee every month. Instead, every month they choose the best roaster in the UK and send their coffee to you. 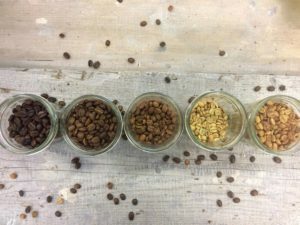 Coffee Tasting Club is approximately priced the same as other UK coffee bean subscriptions, one thing that is worth noting, however, is that with your order you get a 33 Cups of Coffee Journal worth £5.99 which we thought to be a really cool and engaging idea. You can choose the frequency of delivery, ground or beans, and ground size. A great feature about Coffee Tasting Club is that they actually show you the perfect coffee for your brewing method. Claim your first bag. You definitely won’t regret trying Coffee Tasting Club. 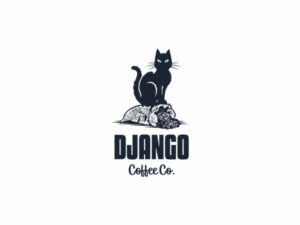 Django Coffee was introduced to us by the owner, Stephen, by expressing his vision for the company. Stephen travelled around the world and having visited several countries with a rich coffee scene, Stephen returned home and set to express his passion for coffee through the company. Django Coffee is reasonably priced and offers a range of coffees. One thing you will notice once you visit the website is that they make sure to stick to the origin of the coffee. Giving you full information on it. If you support environmentally focused companies, are keen to know about your coffee beans origin and love fresh coffee Django Coffee is definitely worth checking out. Rinaldo’s Speciality Coffee & Tea is an independent speciality roastery based in the Lake District. The Giesen roaster was Crowdfunded and Rinaldo, who has Italian parents and is Cumbrian born, shares his passion for amazing Arabica coffee providing coffee throughout the UK. Rinaldo is an accomplished barista and offers a variety of training workshops and loves experimenting with different brew methods. After talking to Brian from Silverskin, we were able to get a little taste of what Silverskin is all about. It’s origins and their coffee offering. Silverskin coffee roasters is an award winning and 100% Irish owned company They’ve roast coffee locally in Dublin since 2012. Only speciality Arabica coffee beans are hand roasted in small batches daily. You can join the coffee club with either a 6 month or 12-month coffee subscription. The coffee subscription gives you access to exclusive coffee for members only. You will also get tasting notes and brewing tips to give you the full Silverskin experience. We reached to The Crafted Coffee Company and Lorraine was able to explain to us what their coffee offering is all about. On the website, you can choose your preference between a weekly, monthly or fortnightly subscription for 3, 6 or 12 months to fit your own coffee consumption. Our focus is to offer the best speciality grade coffee available with full traceability and from sustainable coffee producing communities. With every origin, you receive you will also get information about the producer, farmer, and region that made it able for us to offer you the delicious coffee in your hand. Roasted in Glasgow, shipping worldwide. ‘Vagabond Coffee Roasters is dedicated to sourcing speciality coffees from around the world in the pursuit of quality and consistency while offering the highest standards of customer service. Part science and part craft, we are never afraid to experiment so that we can truly express a coffees’ unique character every freshly roasted batch at a time. As a small team of committed coffee professionals from a diverse range of backgrounds, Vagabond Coffee Roasters’ collectively bring years of experience, expertise, and thirst for knowledge to the table – to ensure that our commitment to quality is never compromised. Just as we salute the tireless dedication of coffee farmers who produce such an exciting and complex culinary product, we take our role in the coffee value chain seriously by seeking to build long-term sustainable relationships with coffee growers wherever possible. We’re a passionate team who all share the same vision, to bridge the gap between the average coffee drinker and speciality coffee. Our experience in the coffee industry has given us the passion for sharing our knowledge and for educating on delivering the perfect cup of coffee. 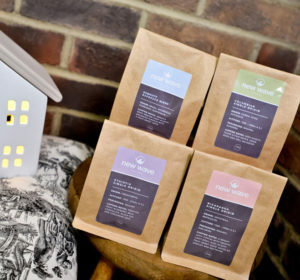 We supply freshly roasted coffee speciality coffee to all types of businesses and home coffee fanatics. Step into an exclusive society, where coffee lovers unite to enjoy the finest brews and blends, hand-picked for your pleasure. Come, join us and be part of a coffee club that offers you the beauty of exclusivity, combined with an array of coffees delivered to your door, alongside savings and news from Stokes. Our subscriptions offer you the ideal way to try different coffees and don’t forget, the exquisite parcels also make wonderful gifts for loved ones or friends who appreciate a divine cup of coffee. Our three-month subscription offer is perfect for coffee lovers who want to experience new, delightful blends. Every month during your subscription, you’ll receive generous samples of coffee for you to sip, savour and enjoy, hand-picked by our experts. Delve further into the beautifully packaged contents and discover how to ensure the fullest flavour from your coffee blends, as well as snippets of useful information on your selection. At the Roast-Den they offer a subscription service where customers can choose the style of brew method they want and have it delivered at their selected frequency (1, 2, 4, 8 weeks). 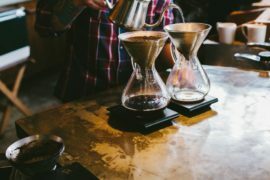 They also offer a unique blending service and this allows customers to make their very own blend of coffee (even as little as 200g). They can choose their own mix using the 24+ different coffee beans we stock and then name the coffee whatever they like i.e “johns blend” or “ace hotel blend” then we hand roast what the customer has ordered. The reason I mention our blending service is that customers on our subscription also have the ability to substitute any coffees, even their own blends. Roast-Den offers only the finest speciality coffee and cuts out the middlemen to offer discounted prices. All Roast-Den coffees are aged in oak or chestnut barrels to make them exceptionally smooth. Roast-Den seeks out the best coffee farms from around the world to begin their process with the best green beans. 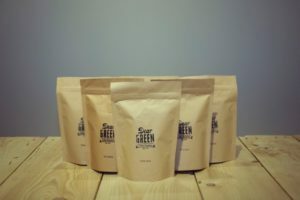 After wood aging the green beans, the coffees are hand roast to order and deliver to your door, or you can collect direct from the Roastery in Glasgow. The Roast-Den offer a like-for-like price match guarantee. 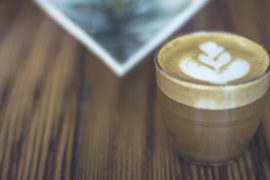 I hope you enjoyed discovering some of the best subscription coffee services available in the UK. 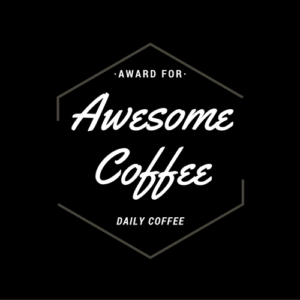 If you are looking for frequent coffee delivery to your door then join one of the coffee clubs and enjoy a great cup of coffee. 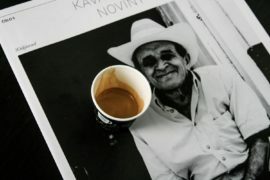 Sea Island Coffee specialises in providing unique, rare and extraordinary coffee. 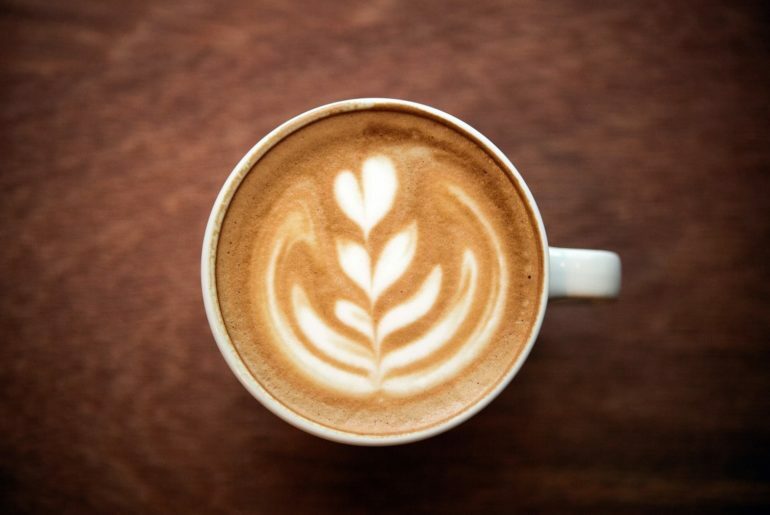 Founded in 2007, Sea Island Coffee have a great story behind their name. 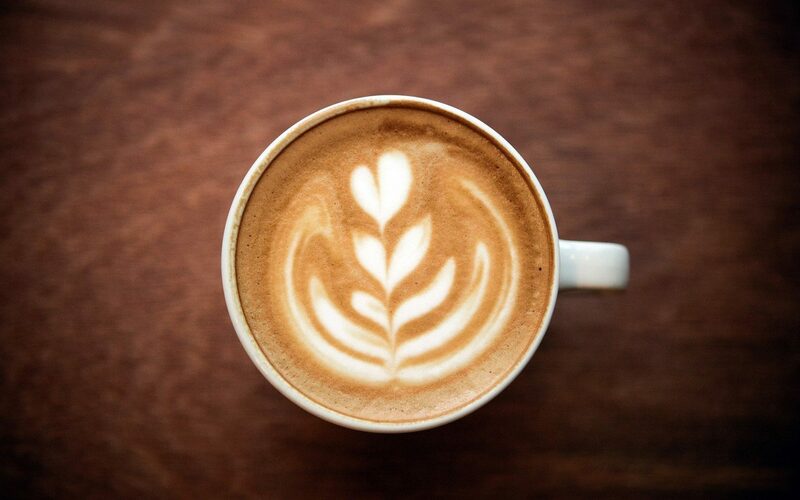 Their coffee is sourced from all over the world, from Jamaica to Hawaii. Offering a wide variety for you to choose from to suit your preferences. They can offer one off purchases and can do a monthly subscription. Starting at £15 a month, their coffee subscription can be on a personal basis or an expert’s choice. Giving you the opportunity to try many different types of coffee. When choosing your coffee, you have the chance to choose the size, the grind and the frequency at which you would like to receive your coffee. Any of the coffee subscriptions mentioned above can be a given as a gift during the holidays, a birthday or just to show you care (and support their daily need for fresh and interesting coffee). Getting the right gift isn’t usually easy, but if they love coffee this gift option helps narrow it down and what’s left is looking for clues of the type of coffee or roaster that best fits their tastes and worldviews (e.g. sustainable, charitable giving, supports farmers, etc.). You can also give yourself a gift, since it’s nice to treat yourself, while shifting your thinking from a purchase to giving yourself a well deserved gift. The coffee subscription services I just listed are some that I tried or interacted with in one way or the other. I would be very interested in hearing some of your thoughts and what your favourite options are in the comments below.